The U.S. Environmental Protection Agency (US EPA) and Surgeons General Office have estimated that as many as 20,000 lung cancer deaths are caused each year by radon. A family whose home has radon levels of 4 pCi/l is exposed to approximately 35 times as much radiation as the Nuclear Regulatory Commission would allow if that family was standing next to the fence of a radioactive waste site. German physicist Friedrich Ernst Dorn, a German, discovered that radium was releasing a gas. Radon is a cancer-causing radioactive gas. You cannot see, smell or taste radon, but it may be a problem in your home. The Surgeon General has warned that radon is the second leading cause of lung cancer in the United States today. If you smoke and your home has high radon levels, you're at high risk for developing lung cancer. Some scientific studies of radon exposure indicate that children may be more sensitive to radon. This may be due to their higher respiration rate and their rapidly dividing cells, which may be more vulnerable to radiation damage. Radon-222 decays in a sequence of radionuclides called radon decay products, radon daughters, or radon progeny. 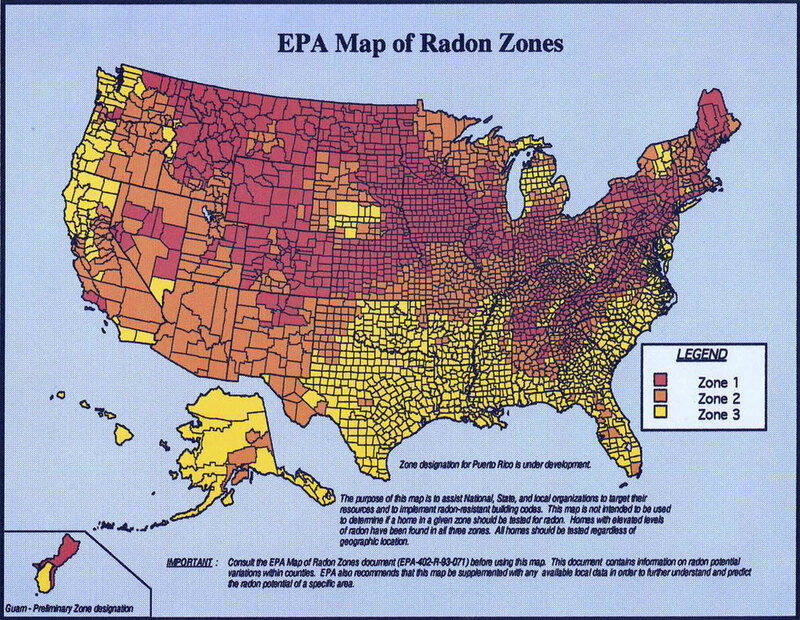 It is radon-222 that most readily occurs in the environment. Atmospheric releases of radon-222 results in the formation of decay products that are radioisotopes of heavy metals (polonium, lead, bismuth) and rapidly attach to other airborne materials such as dust and other materials facilitating inhalation. December 22, 2013 by Tamera La Plante.